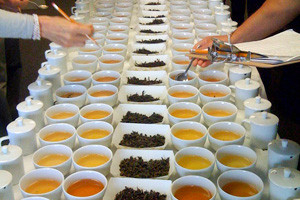 Mellow Monk's Green Tea Blog: Our tea wins at the North American Tea Championship! Our tea wins at the North American Tea Championship! I have fantastic news, everyone — Mellow Monk's Top Leaf green tea won 3rd place in the steamed green tea division in the North American Tea Championship. We are so honored to be recognized by the very discriminating judges in this very competitive tea contest. And we are even happier to be able to bring the world outside of Kyushu this exquisite, sustainably grown, traditionally crafted exclusive green tea.